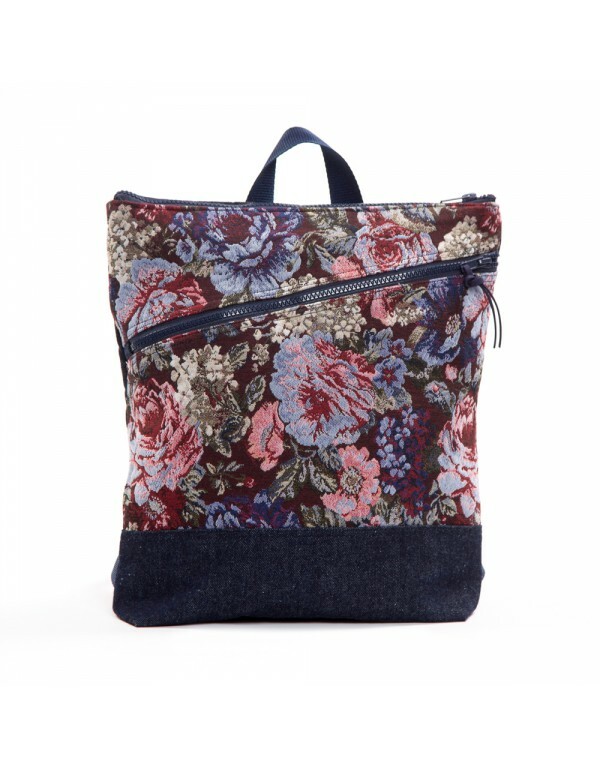 Stylish flowers backpack with large front pocket to carry to the office, to travel or to the city. 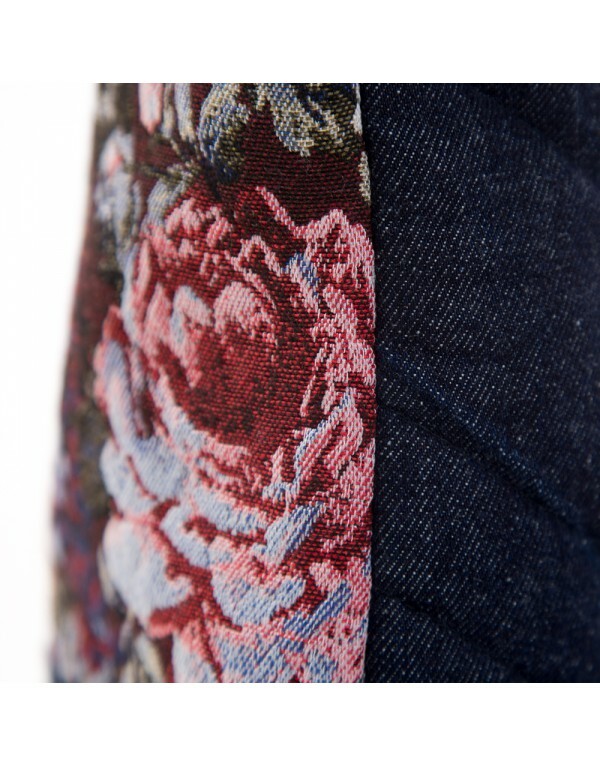 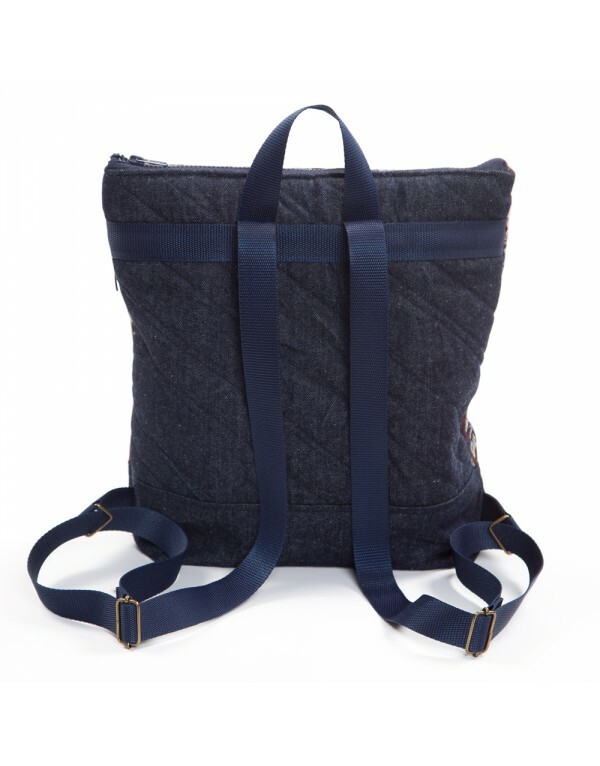 Handmade with an original fabrics combination: an elegant and durable upholstery in front with navy blue denim back. 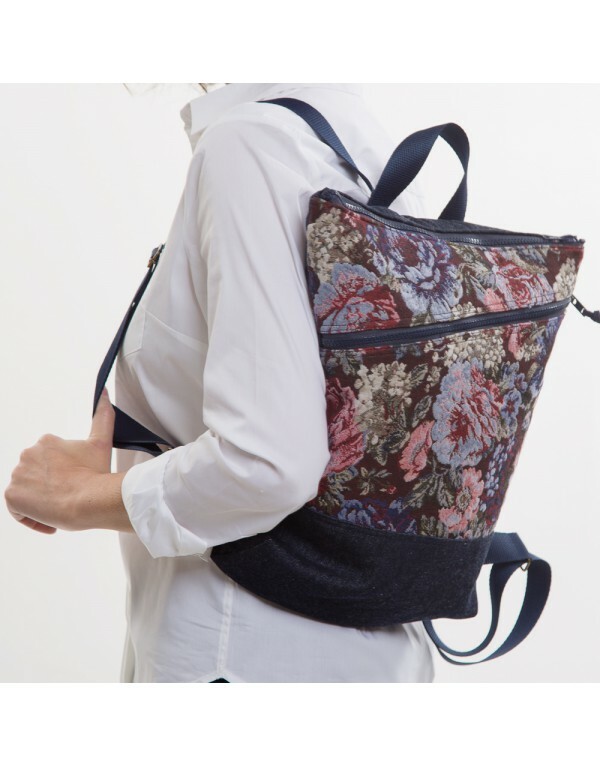 This woman's purse is a day backpack big enough to carry everything you'd need in an ordinary day. 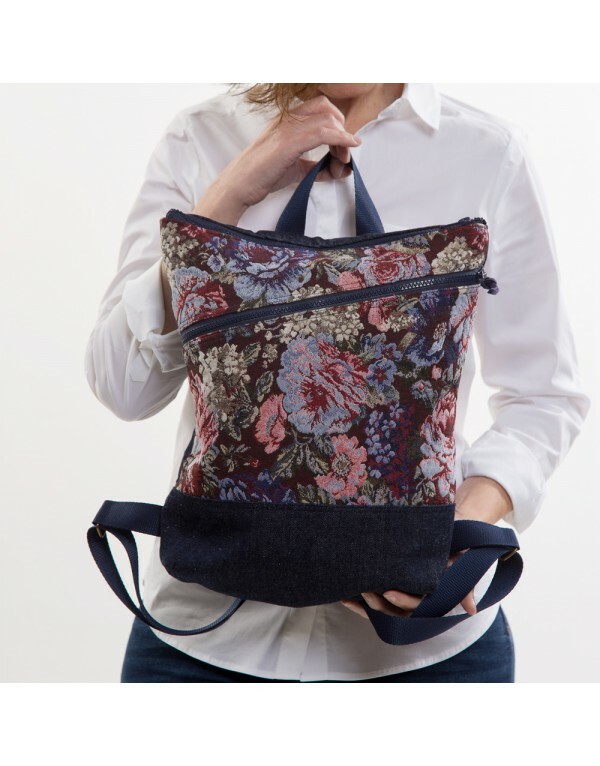 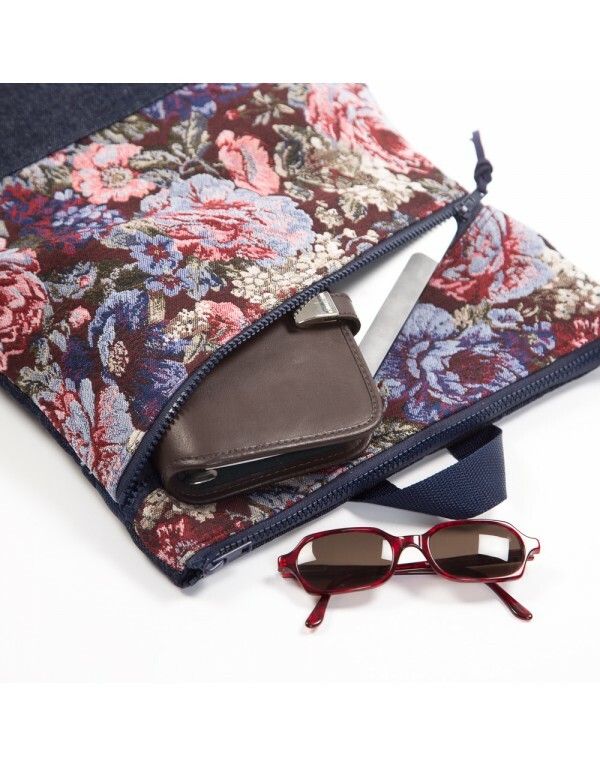 With multiple interior pockets for all your essentials allowing you to distribute the weight of various objects. 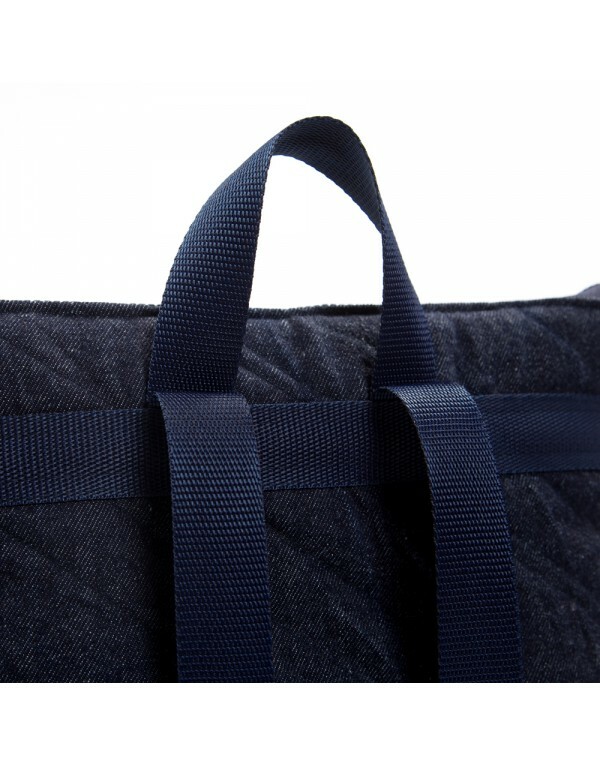 Flexible and lightweight. The back comes fully padded so it will not deform and be sturdier, with adjustable straps 1,2in wide which fit comfortably to your shoulders. 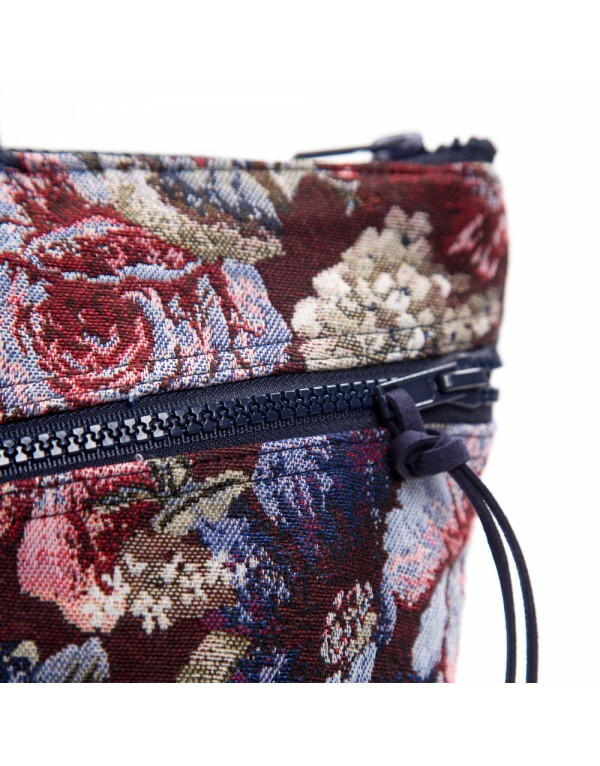 Lined ,inside pockets on both sides: two small pockets to one side one of them with zipper, and a large compartment to the other side. 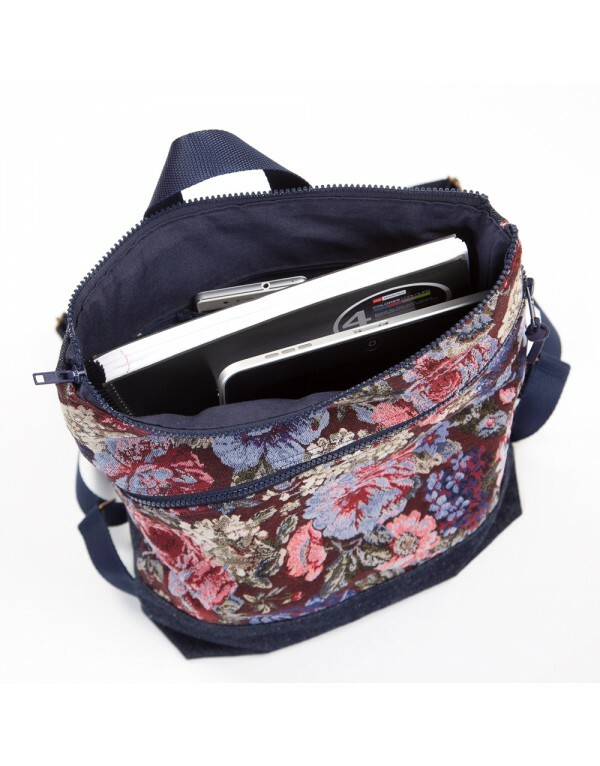 Prepared so you can carry your laptop (check the measurements if you need a special size) or your everyday objects. 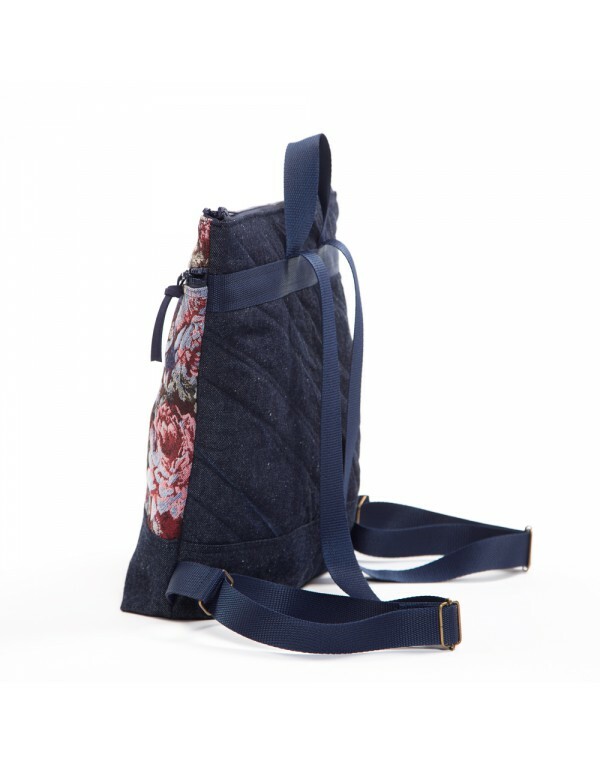 The simplicity of this backpack makes it a complement that adapts to any style, it's a perfect gift.